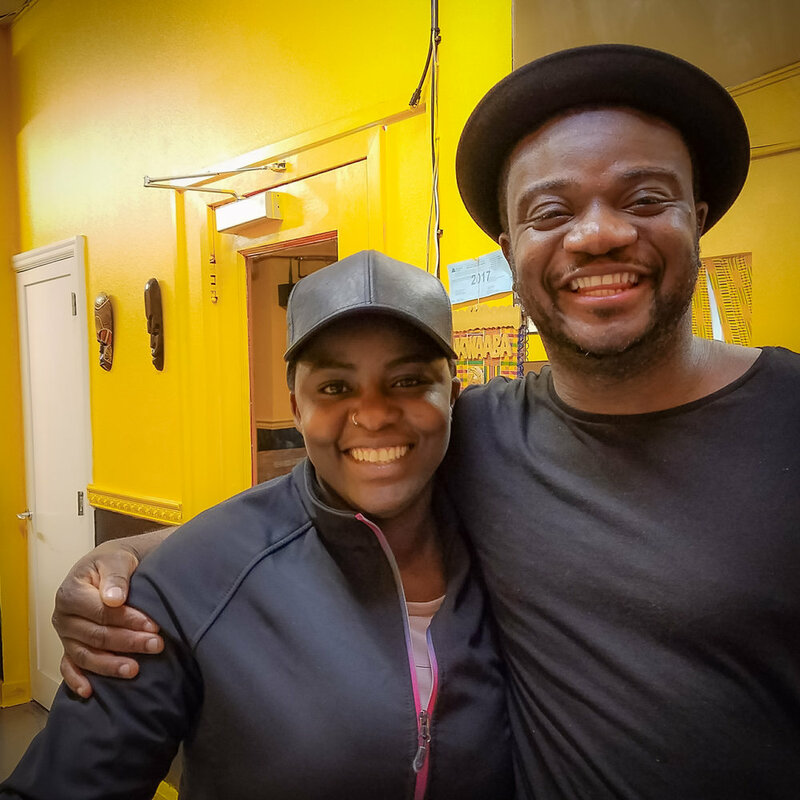 In May 2018 I was hired as an independent contractor to help a new non-profit in Portland which had ambitious goals to become a repository for all things refugee-related in the Portland area. I was able to help them create a Squarespace website with the idea that it would be used as a template for other cities who would join the RVO network. I was also able to create a new information packet leaning heavily on Canva. Learning English is one of the greatest needs that refugees and immigrants experience when they first arrive in the Portland Metro Area. English fluency is an asset that opens the doors for continuing education, community involvement, and vocational advancement and it is a valuable gift that we can share with our neighbors. ESL Companions (ESLC) is an in-home ESL service that matches trained and vetted volunteers from local churches with families and individuals seeking to learn English. They commit to a once a week hour-long meeting for 8 weeks with the option to renew. We provide teachers with a robust training that they can do in 3 hours, on-going coaching, and an online support group. Volunteers work in pairs to tutor an individual English learner or they work in groups of four and host a small class of ESL learners in a home. This program is currently being rolled out slowly during the fall of 2018. NewPortlanders.net is a site I created in 2017 after recognizing the amazing diversity of cultures in and around southeast Portland. So many new arrivals included refugees, immigrants and foreign university students. Yet most folks just stick to their own little cultural enclave without finding ways to get to know people from other countries and languages. Through NewPortlanders.net "bridge" advocates can review local establishments run by "New Portlanders". Cross-cultural connection can be made and the business owners can hopefully profit in the process. This project is supported through donations given through Visual Peace Media (account VisualPeaceMedia.TJC). The ESL Cafe came about as I was trying to figure out how to put established Americans in Portland into situations where they could interact with and get to know people from other cultures who were now living in Portland. The concept is simple: regular schedules at a coffee shop where English speakers volunteer their time to hang out and chat with those working on English. Unfortunately, numbers remained low despite a spinoff location in Vancouver, Washington. We are not operating ESL Cafe currently. Having lived for 13 years in Muslim areas, it's hard to remember what it's like to not have Muslim friends. I have been so blessed to have great friendships with those from an Islamic background. 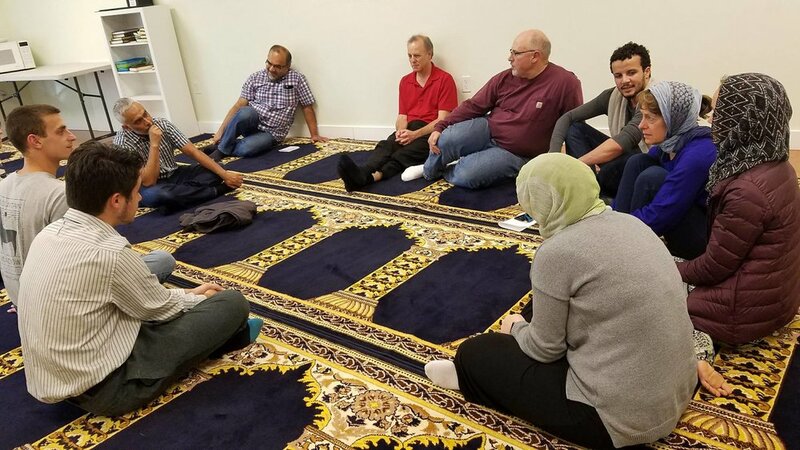 One of my joys in Portland has been to continue to get to know Muslims in my new city and even take groups of Christians to friendly mosques where prayers can be observed and questions asked in a non-threatening manner. If this sounds like something you'd like to participate in, just let me know. Even if you're not in Portland I can potentially line up someone in your area who can take you along on an experience like this. Now, more than ever, we need to reach out to understand and show love for Muslims in America. The city of Portland has a wonderful program that works hard to integrate refugees and immigrants. On March 17, 2017 they hosted a free community event to show support for immigrants and refugees. Som Subedi, a refugee and New Portlander himself, helps head up the Parks for New Portlanders division that works to introduce the city park system to new Portlanders. Since I was there with my family, I filmed a bit and put it into a viral-style video to showcase the good work the city is doing. I hope to work together further with the Parks department in the future.